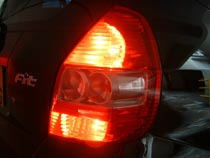 Brake lights are one of the most important safety features to have on a vehicle. It warns other drivers that your car is slowing down or has come to a complete stop so they can act accordingly. 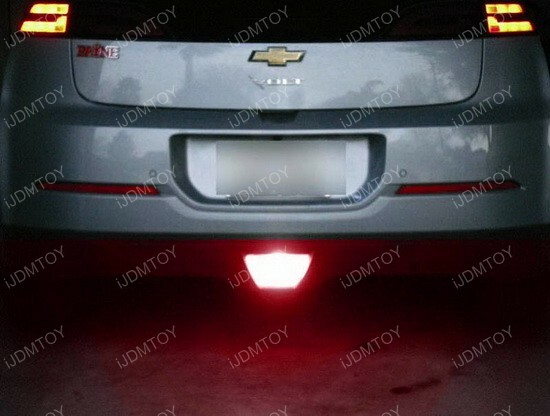 Compared to the stock factory incandescent brake lights, LED brake lights are much brighter and sharper. It's extremely important that your brake lights are bright so they warn other drivers of your presence. LED brake lights also have a faster light-up time, boasting at 0.2 seconds to full intensity. This makes LED bulbs light up about 10 times faster than incandescent bulbs and gives drivers behind you a whole 30 feet to react accordingly if they are traveling at 65 miles per hour. Red LED brake lights are sharper so it can better penetrate through fog and harsh weather conditions like rain, sleet, snow, or hail. This is not only safer for you and your passengers, but also for everyone else on the road. When driving in adverse conditions, it is extremely important to have a strong red LED brake light to ensure safety on the road.